A while back I broke down and purchased a 3D printer, I chose the Creality CR-10 Mini. 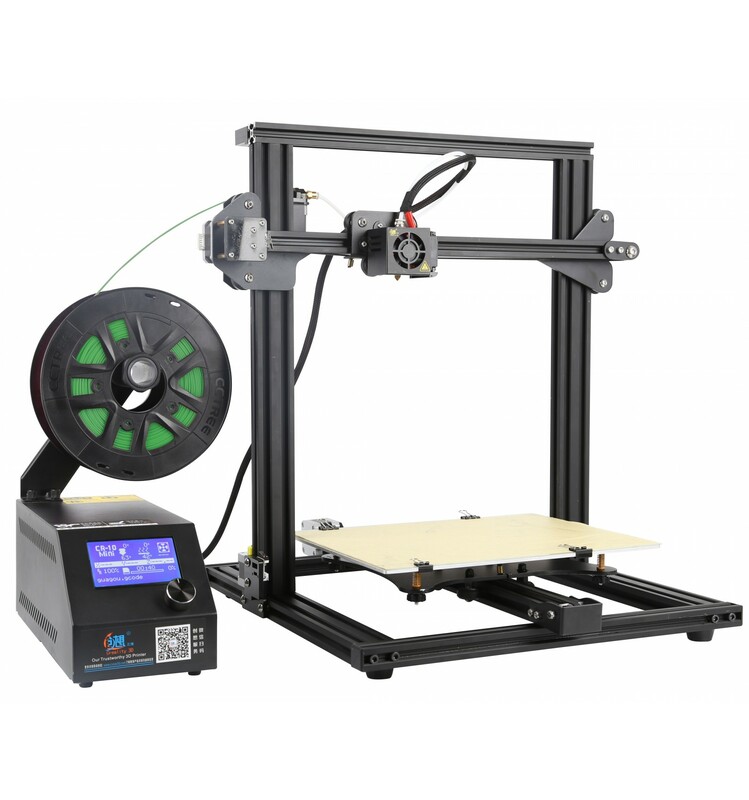 It's bascially the same as a regular CR-10 but not quite as tall and the bed is slightly smaller. I also purchased a 445nm blue laser module from Banggood to engrave and cut. It is effective in cutting such things as paper, acrylic, cardboard, cloth, plastic and wood up to about 3mm. It will engrave a wide variety of material. The CR-10 Mini has the following features. 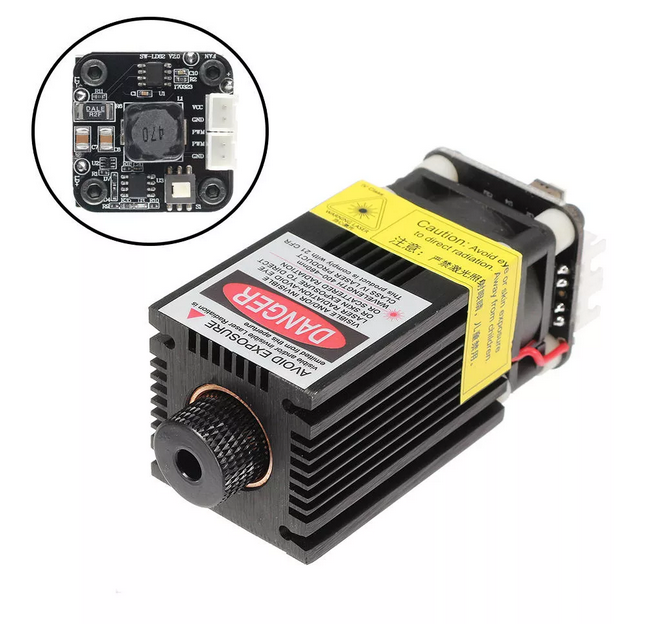 This connects to the part cooling fan port inside your CR-10. The laser modules normally comes with magnets attached and I printed a laser mount (thanks VE7IT for creating in OpenSCAD) which can be fitted onto the side of the laser and clipped onto the print head for easy attachment and removal. 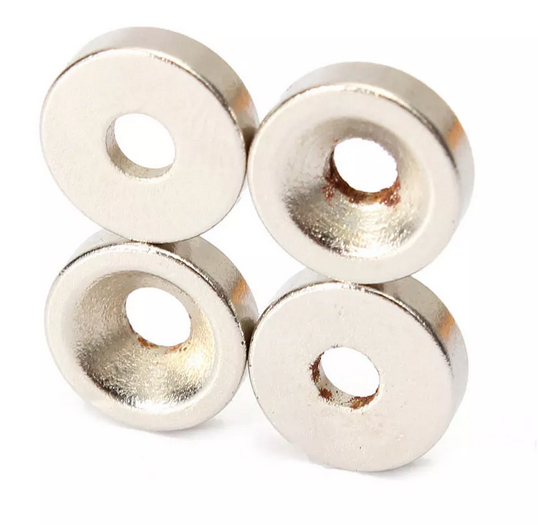 If your laser does not come with magnets search google for N50 10x3mm magnets with 3mm hole. I got mine from Bangood. Here is a link to a picture of the magnets. Please use the appropriate glasses to protect your eyes. Make sure they are rated for 445nm wavelength. This laser is seriously powerful and can blind you in an instance. Once you have your laser interface wired up and connected to the printer, you can start engraving / cutting. I use the Inkscape Laser Plugin from Jtech Photonics. I will include links to local copies of the software etc at the bottom of the article. There are a few steps to perform when sending gcode to the printer that will make your life much easier. Burn grid onto 3mm plywood for reference. Home your print head for all three axes. G28 is the gcode to send if you do it manually. 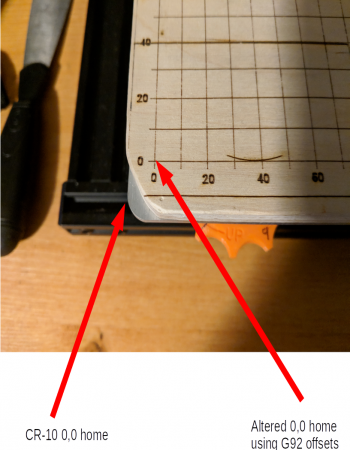 Raise your print head to 100mm about the surface and take note of the distance. Because I use a 9mm piece of plywood I have to raise mine 109mm. Move the laser out to the center of the bed. On top of the laser is a lower power button, depress the button and turn on the power. It’s a good idea to use your glasses just in case it comes on full power. 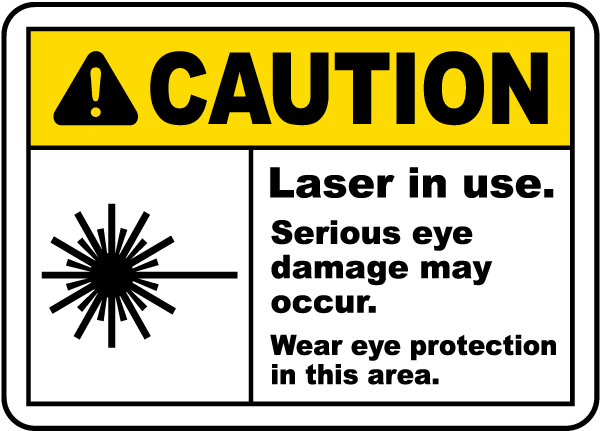 You may need to remove you glasses to focus the laser at low power. Turn the focus knob on the laser until you get as small a dot as possible, then turn the power off. Since the laser sits offset from the print head it will not start at 0,0 of the X, Y coordinates of the CR-10 Mini. We must tell the printer before we run the laser where 0,0 actually is. What this does is specify an offset so the gcode for the laser can actually be created with 0,0 but the printer will move the head to our offset 0,0. Also if you recall I mentioned to remember the Z or height offset to actually have 100mm above the surface. For my setup I send this to the CR-10 before every laser job. Steps to find your offsets. 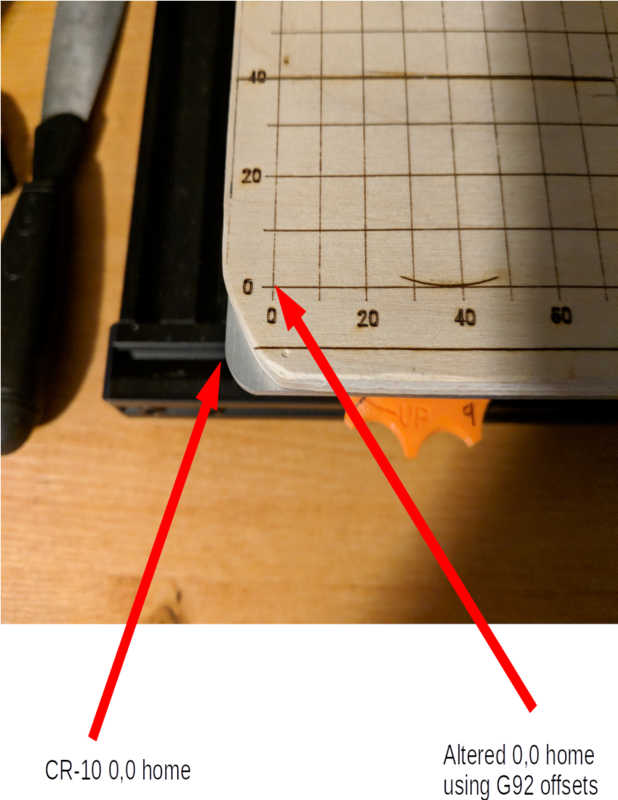 With your software, (Octoprint, Repetier-host etc), jog your print head over until it is approximately 1cm in from the edge, on both the X and Y axes. Step in 1mm increments and note down how many there are for each axis. These are the measurements that I have to use. The M300 command plays a sound through the speaker and G4 P3000 waits 3 seconds. Note: Change Z to always maintain 100mm above your engraving surface. Once you have this setup you can use my Inkscape laser template that shows the grid in a locked layer. You will always know where your engraving will start. Now open Inkscape and from the menu choose File->New From Template->laser. I recently put a driver up on PYPI for the W800rf32 family of X10 RF receivers from WGL & Associates. All of the logic for the decoding I wrote for the Pytomation project. Here is an example of using the code, note: very little error checking here. My reason for doing a PYPI project was to write and include a driver for Home Assistant. This page is a description of the modifications made to the EU1KY antenna analyzer project. Colour TFT LCD with capacitive touch. Multiple scanning curves including SWR. The analyzer uses DSP technology to analyze the sampled signal and derive the their magnitude ratio and phase difference. Full open source software is available at bitbucket.org/kuchura/eu1ky_aa_v3. Development is done by cross compiling for the STM32F746 board on windows (Embitz IDE) or linux (makefile with arm-none-eabi-gcc). The generated F7Discovery.bin file is uploaded to the device using ST-Link loader. ST-Link loader is available from STMicroelectronics. For windows, you will also need to get the STSW-LINK004 utility and STSW-LINK007 drivers. Modify splash screen to display QSL card. To replace the splash screen, create a BMP file exactly 480x272 pixels in size. Place it in the Src/analyzer/lcd/bitmaps folder. Make sure it is the only BMP file in the folder, then run the bmp2h.py python script. This will create a logo.h file which will be included in the project when it compiles. Modify the signal generator screen. The analyzer can function as a continuous wave signal generator over a frequency range of 500kHz to 450MHz. Signals above 150MHz are actually using the 3rd harmonic of the internal source. The signal levels are low (0.1 to 0.2vpp), but do radiate when attached to an antenna!. Using the generator mode and a frequency counter, one can adjust the internal crystal calibration factor to get the generator accurate within a PPM or so. Tapping on the frequency display opens an onscreen keypad where a new frequency in kHz may be entered. Steps of plus and minus 500kHz, 100kHz or 5kHz may be activated by pressing the onscreen row of 6 keys under the frequency display. Several lines of diagnostic information are displayed that can be used to troubleshoot the hardware receivers, the OSL calibration and the VSWR calculation code. One can also perform a screen save to aid in debugging. Modify the TDR screen to display coax length in metric and imperial units. Modify the highlighted ham bands to represent the North American frequency ranges available. See panvswr2.c. Also, modify the SWR panoramic display to position the cursor bar on the point of lowest SWR on the displayed graph. Free windows IDE for ARM: https://www.embitz.org/. Modified project source files: eu1ky_aa_v3.zip (10.0Mb). VE7IT linsmith remote control patch: linsmith-remote.patch for linsmith-0.99.28 (19.2kB). Pytomation running on Pi3 with TFT display and power circuit. This is the Pi serial expansion board including breadboard area. It is available from https://www.abelectronics.co.uk. Once the Pi has booted pressing the bottom button on the TFT display, which is connected to GPIO 17, will initiate a shutdown of the operating system, The very last action taken during the shutdown sequence is to enable (logic high, +3.3v) GPIO pin 26. GPIO 26 turns on the "set" coil of the relay which in turn will remove power from the Pi board. The 470uF capacitor provides just enough additional power to the Pi to properly latch the relay before removing power. Pressing the pushbutton will pulse the "reset" coil and power will be restored to the Pi, which then boots. Here is a quick video of the board operating. Raspberry Pi3 with USB power supply and SD card, running Raspbian 9. SerialPiPlus an RS232 board with breadboard space. 3.3 volt dual coil latching relay model EE2-3TNU. Once the board is complete with the power on/off circuit you must make some changes to your Raspbian installation. There are two things that must be done. Add support for the power down button on the TFT display and add support for GPIO pin 26 to change to a high state (3.3v) one it is safe to remove power from the Pi3. This tells the Pi to watch GPIO pin 27 which is one of the buttons on the TFT display, when pressed it will shutdown the Pi. Login and edit the /boot/config.txt file to add the following at the bottom of the file. This is from the /boot/overlays/README file. overlay will prevent the ability to boot by driving GPIO3 low. high->low transition to trigger a power-down. will also cause the pin to go low. Now assemble all the pieces. Stack the serialpi board on the Pi first , then the TFT display hat on top of the serial board, then power on your Pi. You should be able to safely shutdown the Pi by pushing the bottom button on the TFT display. To turn the Pi back on, press the pushbutton wired into the power circuit. This explains what I had to do to get the Adafruit 2.8″ Capacitive display working under Debian Stretch on a Raspberry Pi 3. At this point in time, January 2018, the tutorial on the Adafruit page only deals with getting the displays working under Debian Jessie. Stretch was released on June 17th, 2017 and it’s a bit sad that Adafruit has not updated their tutorial. Install Debian Stretch on your Pi3. I used the 2017-08-17 image from downloads.raspberrypi.org. Make sure everything is up to date with: sudo apt-get update and then sudo apt-get upgrade, then reboot. 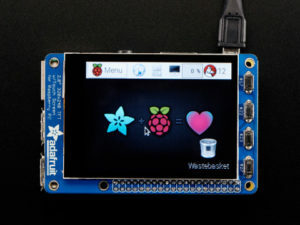 Download the adafruit-piftf-helper2.sh script from here, I have a local version here but it may be old now, please check. 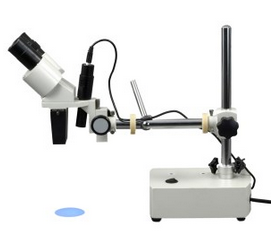 Just picked up one of these microscopes for surface mount work. I have released a Linux console, python utility, called "huecmdr.py". You can use it to test various aspects of the Philips HUE lighting system. 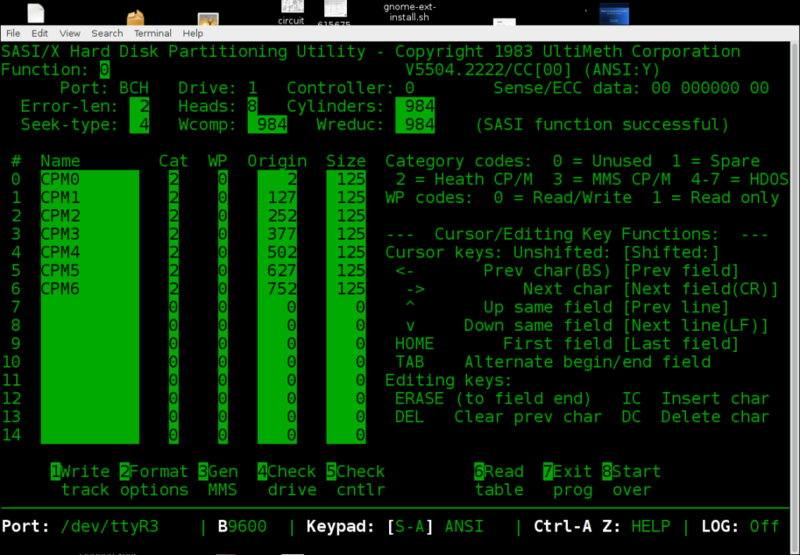 It runs great in any X terminal as well. This utility is a great way of selecting a value to use in your Pytomation Instance file. You can find the Source on the Pytomation github site. H19term aims to provide close to 100 percent software emulation of the Heathkit H19, also known as Zenith Z19, hardware video terminal. Help files available for ascii characters, CP/M quick help and user manual. Colour changing mode for Amber and Green or other colours. Help files directly inside h19term. H19term is written in Python version 2.7. It won’t run in Python 3.x without some modifications. Download the h19term tarball and follow the instructions in the README file. See the h19-readme.txt file or go to the github page and scroll down. As noted before Python should already be installed in most Linux distributions.